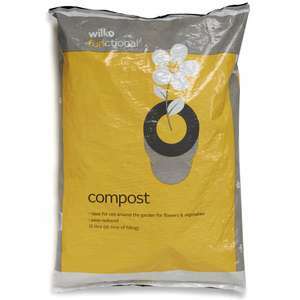 Or if you live in Manchester the Hulme Garden Centrw sells 4 x 50l bags for £10 and it's organic compost. Thanks. 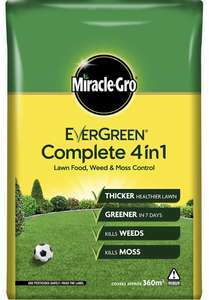 I need lots of compost as I have 20 hanging baskets and about 10 pots to fill up :o , I bought compost from Aldi last year and was not impressed with it. I'll pop into Wilko on my way home after work and get a few bags &#x1F601;. 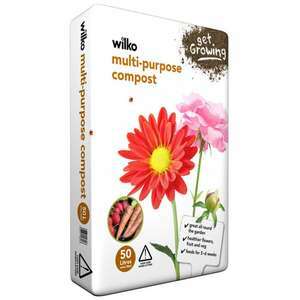 Is the compost from Wilko any good? Thanks. Tried before but could never get hold of anyone, worth an email instead perhaps. Give your local council a call they should be able to tell you where the nearest one is. If potting indoor plants I would not recommend the compost in BnM. Poor storage means these can often contain various bug infestations. 50L. 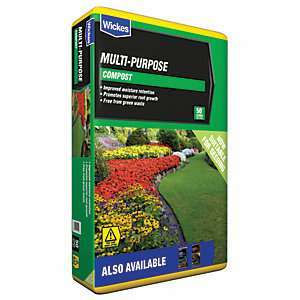 Thought £2.99 was a good deal for quality compost. They’ve labelled it as half price from £5.99. Bought from Chadwell Heath branch. Assume it’s nationwide. Did you have plastic in yours? Noticed a stack of compost outside Lidl for £1.99 a bag. Doubt it's going to be the greatest compost in the world but it's cheap! within 24 hours of use, the entire surface of every single item id used it for, was covered in thick white fungal hair. it also smelled odd almost like rotting meat. That’s great , thanks for the update , weather down south has been so windy this week I didn’t bother going to get any from anywhere, so will pop to Lidl’s and stock up . Really good compost with no plastics I can see and well worth the money. Never miss a 'Compost' deal again! Due to new packaging they were reduced. Hardly any stock left. Drove to swindon store. Not £2 a bag but £4.99. Obvouiosly not a national offer. Heat removed. bought 10 from Hereford Branch. Good for seeds, so far so good. Thanks OP - great deal. Had a load delivered yesterday - with free delivery (over £75). Unbeatable price for a very decent product. It's 5p per litre. Not tried this one, looks a good buy though. Snow still on the ground here brrrr (y) ---- Mycorrhizal fungi is the way to go when transplanting from the lighter feed jack's to the more heavier feed soils such as grosure, which I find has the grosure slow release pellets already implanted and can stress seedlings. Sprinkle some where the new soil meets the roots of the old rootball and soon enough, the fungi will aid the roots to multiply, supply and create healthy root systems. Kind regards all. Gonna get myself some No.1 for my seeds. Good price. Got loads of useless stuff in these. Good price, could be soiled? Because some people don’t have the luxury of having their compost bin on soil or grass and therefore having a base is useful/necessary at times :) either way everyone should try composting where possible. Then why do they sell them? As above. Won’t deter rats. Is the £10 on the website a reasonable price? Worth the extra to deter rats? Rats will just nest underneath even if you have a base. They like the warmth as well as the food. It has a stamped number on the back ending in 2018. Any way to check if this is last year's stock? Sorry just changed to in-store as I found at the Tescos in Evesham. Can’t see anything on your link? You haven’t said instore so I assume it’s online? Thanks, got two for £34 delivered. Guaranteed for 15 years against rot. I'll be using mine for making leaf compost so it'll be easy enough to turn. How many years would this actually last? Also, you'd have to dismantle the whole thing or take the compost digging in from the top? Rather than getting from the bottom like most of the plastic ones? I was in Tesco Maryhill today and the price I saw this for was £2.00 FOR ONE OR £3.50 FOR TWO. They were at the top of the stairs, next to the cafe. I bought some of this earlier in the year, more like excavated landfill than compost. it had all sorts in it.